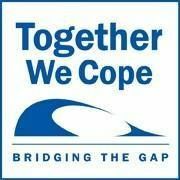 Together we cope is a grate place to go and get the help you need!!! Your opinion matters. Leave A Review Or Edit This Listing for Together We Cope - Feed The People, Man!. Pantry Details, hours, photos, information: Together We Cope - Feed The People, Man! Together We Cope 'bridges the gap' for Southland residents in temporary crisis by providing food, shelter, clothing and referrals, empowering them to return to self-sufficiency. The clients of this agency are a diverse group of individuals, coming from many different areas and economic backgrounds. The agency gives assistance to anyone in need who steps through their doors. The agency serves people from 22 south suburban communities in Bremen, Orland, Palos and Worth townships. The agency's food pantry makes sure that no client goes hungry, while its resale shop offers gently used items at reasonable prices. Financial assistance is available for rent, mortgage and utility bill payments. Many clients benefit from referrals for housing, education, medical needs or employment counseling. We always need more information on our pantries. If you know of any details, volunteer information, website, hours or more description information about Together We Cope - Feed The People, Man! please add a comment (below the map on this page), with information. We will then display this for all visitors on this page. Locate Together We Cope - Feed The People, Man!